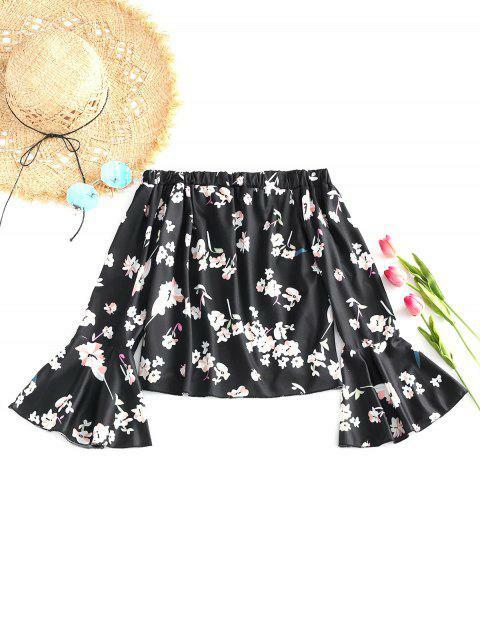 [31% OFF] 2019 Flare Sleeve Off Shoulder Floral Blouse In BLACK | ZAFUL .. Check this blouse out. With pretty floral pattern throughout, this blouse features an elastic off the shoulder collarline and long flare sleeves, in a flowy style. Wear it with skirts for a glamour look.